Home > Episodes > Tour our Data Center! Businesses live and die by their infrastructure, and here at GeekBeat and the GeekHouse is no different. Between our video teams and the different tenants we have in the building, it’s my job to maintain a reliable and robust network that can serve multiple different needs. At the heart of our infrastructure is our data center, a purpose built climate controlled room in the middle of our building that houses our network core and all of our data servers. Thanks to our friends at Chatsworth, we have these three great black GlobalFrame Server Cabinets. At 47″ deep and 42U tall, these can hold very deep servers with their adjustable railings. 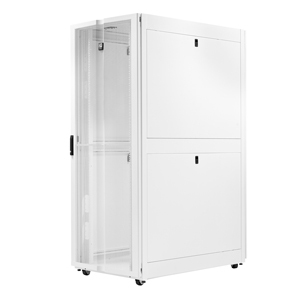 With removable side panels and doors, these cabinets are easy to work in and do a great job providing accessibility and security. At the core of our file operations is the 45 Drives Storinator from our friends at Protocase. This purpose built file server contains 45 6TB Seagate enterprise drives to provide over 250TB of ZFS redundant storage via FreeNAS. 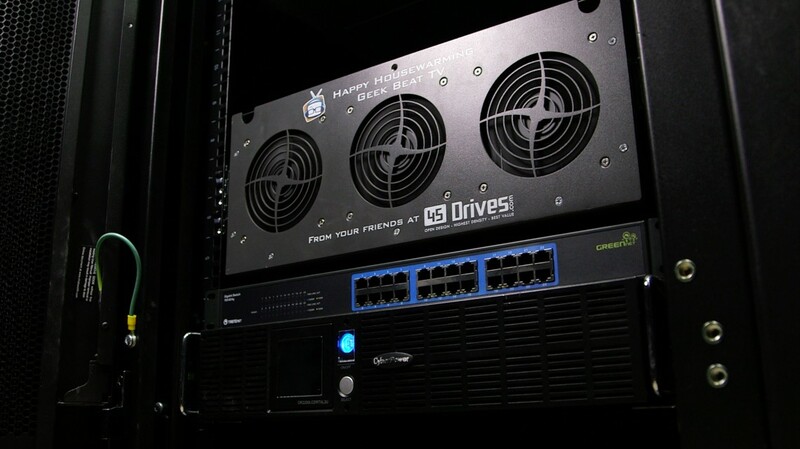 Using 4 arrays of 11 drives, the massive array provides up 1 Gigabyte/sec of read/write capability while maintaining a 2 drive parity safety net per array. Additionally, adding in an Intel X540-T2 10 Gigabit card gives us more than enough bandwidth to keep our content flowing between our edit bays and our storage. At 1U and ear mountable, the RS814 works well as a deep archive backup server. In addition to our Storinator, we use a small Synology RS814 loaded up with 6TB drives to provide a secondary backup for our archives. Once we are done with our episodes, we ship off the compressed and published versions to this device for long term archival. Additionally, it serves as the backup for our user home folders. We use a couple of HP Proliant DL160-G6 blades with dual Xeon quad cores and 96 gigabytes of RAM to host our XenServer virtualization platform. These blades, while a few years old, work great and do an excellent job of hosting our various linux and windows virtual machines I use to manage different services in the building. As they are easily found refurbished, you can get a great deal on these to build a very dense blade cluster. 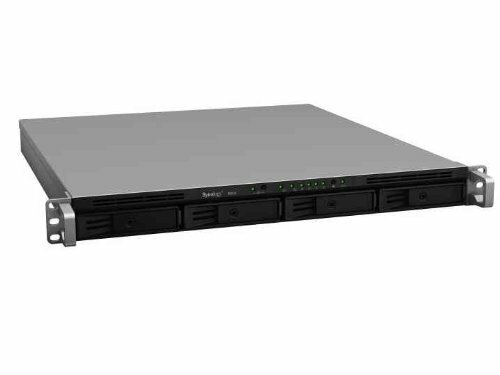 The TruVision NVR 21P is a high-performance 16 channel network video recorder that can capture our 16 HD security cameras with 8 hard drives bays. With web management capability, and support for mobile app connections, you can easily review and manage your security feeds from anywhere. 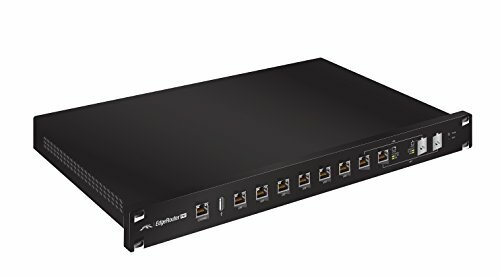 At the heart of our network is the Ubiquiti EdgeRouter Pro, what I think is the very best value for your money as an enterprise router. With 6 dedicated RJ45 Interfaces and two additional SFP/RJ45 combo ports, the EdgeRouter Pro can handle up over 2 million packets per second and deliver true gigabit routing across multiple interfaces thanks to its dedicated hardware accelerated packet engine. It’s slightly different cheaper version the Edgerouter sports the same packet engine but loses the SFP fiber ports. In our stack, I’ve dedicated interfaces to our WAN, Local and Guest networks, a management network, and a IP Camera network. Each of these networks exists as a separate VLAN in our switch core, with the exception of our IP Camera network which is on a dedicated independent PoE switch meant to handle tens of gigabits of constant video data. Of any router I’ve used in my career, I can easily say that the EdgeRouter series provides the best value to performance ratio by far. Running EdgeOS, a fork of the now Brocade owned Vyatta routing OS, the EdgeRouter is straightforward for the novice but extremely robust for the expert. With 4 network jacks per office, in addition to dozens of other jacks in the common areas, we needed more than one 48 port switch. Additionally, we wanted to make sure we had the 10 gigabit backend covered when we wanted to upgrade ourselves. 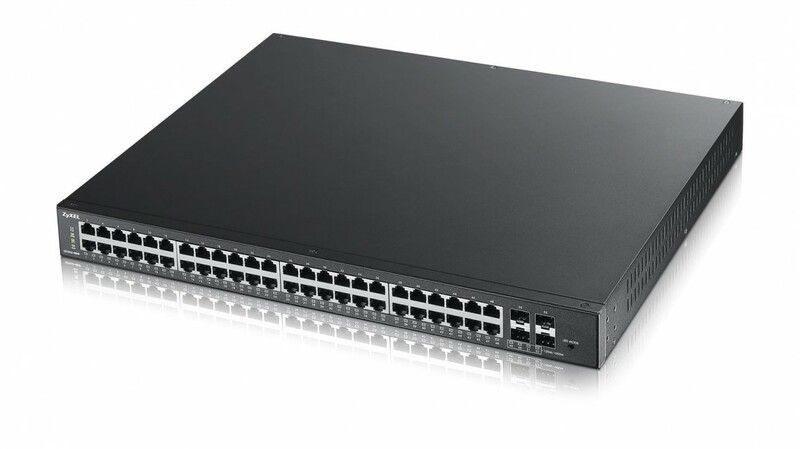 The best affordable switches we could find is the Zyxel XGS1910-48, a great smart managed L2 switch with 10 gigabit SFP+ ports. While not as intense as a true L3 switch, the affordable 1910 series supports all the functionality a typical corporate environment needs at a fraction of the cost. As a bonus, the XGS1910 series even supports switch stacking. Using two of the SFP+ ports, I can combine our two switches into a single huge 96 port switch and manage them as a single device. Network data moves across the switch fabric seamlessly which is helpful in a heavily VLAN segmented network. 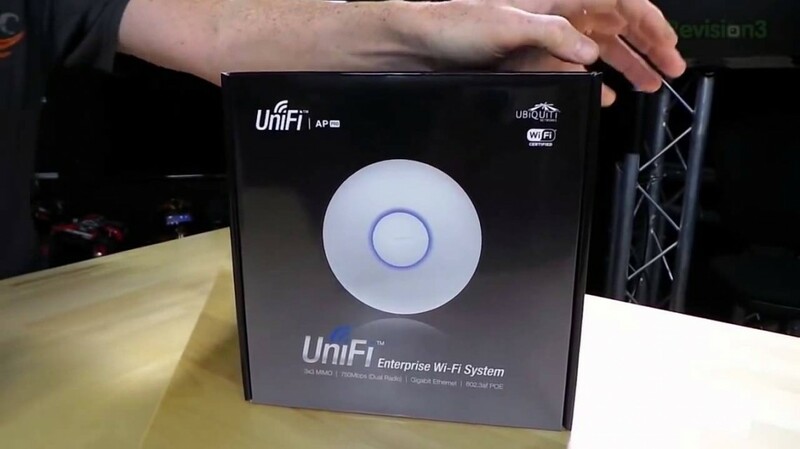 The Dual Band Unifi AP-Pro is an enterprise grade AP and can come in a value 3 pack. We’ve been using the excellent UniFi AP-Pro dual band access points. A virtual linux machine hosts the central management controller and web interface that adopts our three APs. With their simultaneous dual-band antennas, we can provide both 3×3 MIMO 2.4 GHz and 2×2 MIMO 5 GHz networks for the whole building, almost negating the need for the wired connections thanks to their speed and reliability. Best of all, at about $230 a unit, the AP Pros are a great value with great performance all while staying hidden on the ceiling. An Automatic Transfer Switch, like this from APC, can turn your singe power devices into a redundant power device. While I may try to keep all my devices on batteries, there is always a chance that the battery itself fails outright. Even if I put a second battery with the stack, all of my networking gear only supports a single power source. In this case, I needed to add in an automatic power transfer switch, such as this APC AP7750 Automatic Transfer Switch. I put all of my equipment onto the ATS, and then attached the two different lines to two different battery backups. In the event where the primary battery backups fails, either from an extended power outage or outright failure, the ATS will immediately switch over to the backup battery and continue operating. I hope this gives you a good overview as to what it takes to run an very small datacenter like ours. Just imagine what it takes to run a warehouse building sized data center like Amazon or Facebook! There’s even more gear I didn’t discuss, so if you have questions, be sure to leave a comment or tweet me!